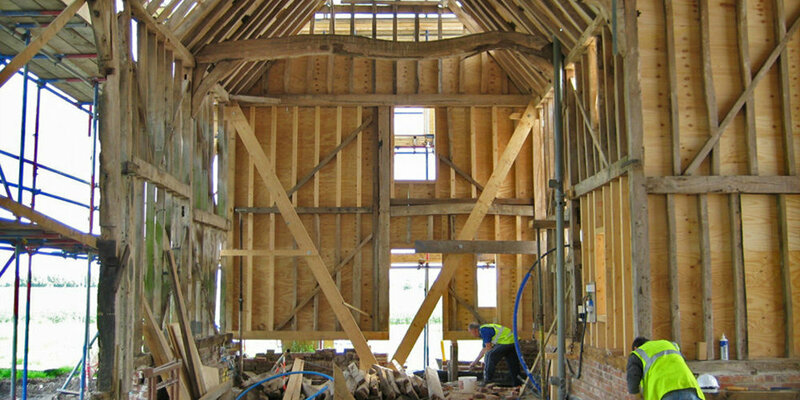 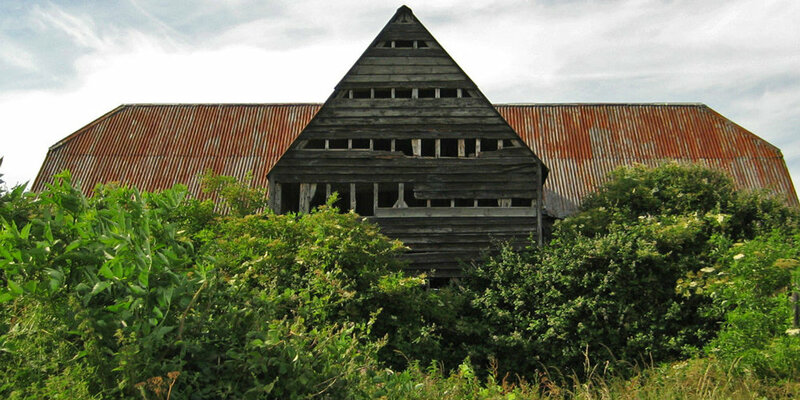 Conversion of a historic barn requires careful analysis of the surviving fabric to see what can be kept and what must be replaced with the intention of conserving as much as possible. 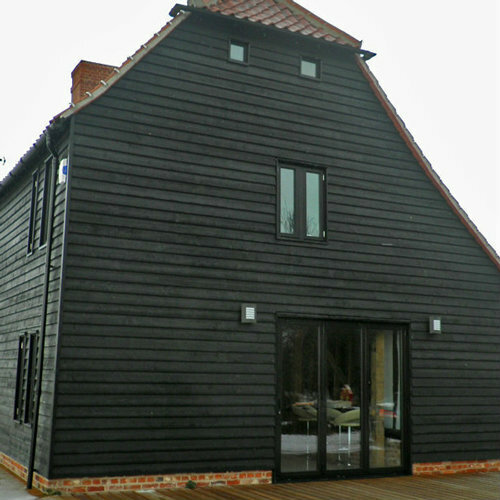 Then the design for the conversion must be slotted in with minimum interference with the original barn. 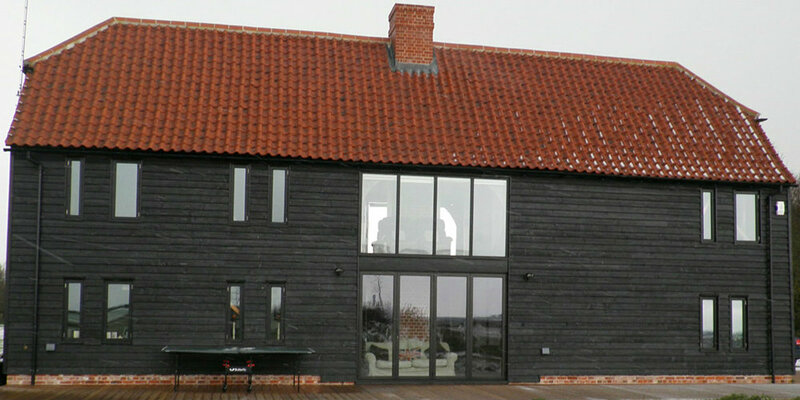 Inkpen Downie designed a comfortable new home which respected the existing frame by using existing openings or by placing them between existing frame members. 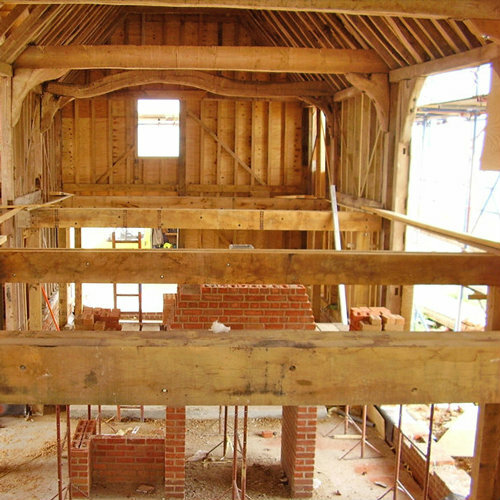 The original plinth walls and foundations were repaired but without underpinning and a new first floor was inserted on its own free standing system of oak columns meaning that if required it could be removed entirely at a later date.